I am here! I am back! So sorry for this little unannounced blog-vacations, it was not how I planned it. In the last 2 weeks, I had so much going on. Mainly, some of my French family visiting here for 2 weeks. I took a few days off and I really thought that among other things and daily life, I would keep the blog alive. Well, well, well, I was fooling myself! It can be so challenging to tackle so many things at the same time. That’s why today, I have an amazing recipe for you! Why is it amazing? Because this cake takes care of 5 situations. FIVE. What is so good about that cake? First, it is cheesy! 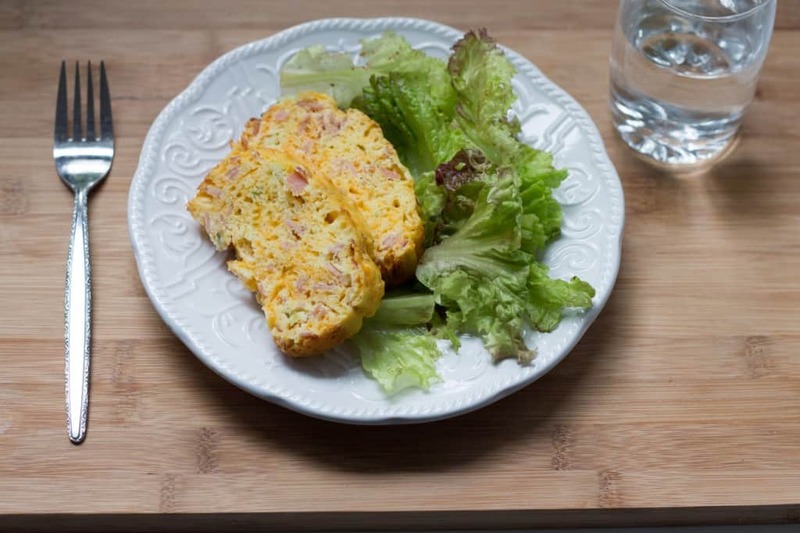 It is filling but not too much, it is rich in protein with the eggs but not too eggy. It’s a moist salty cake with a little crunch on the top. If you are worried about the wine, let me tell you that you will not taste it. So you can serve it to everybody in the family! I hope you will enjoy it and I promise I will be back soon! - In a bowl, mix the eggs, oil and wine. - Gradually, add the yeast and the flour. Keep mixing while pouring so there are so lumps. - Add the ham and cheese. Mix. 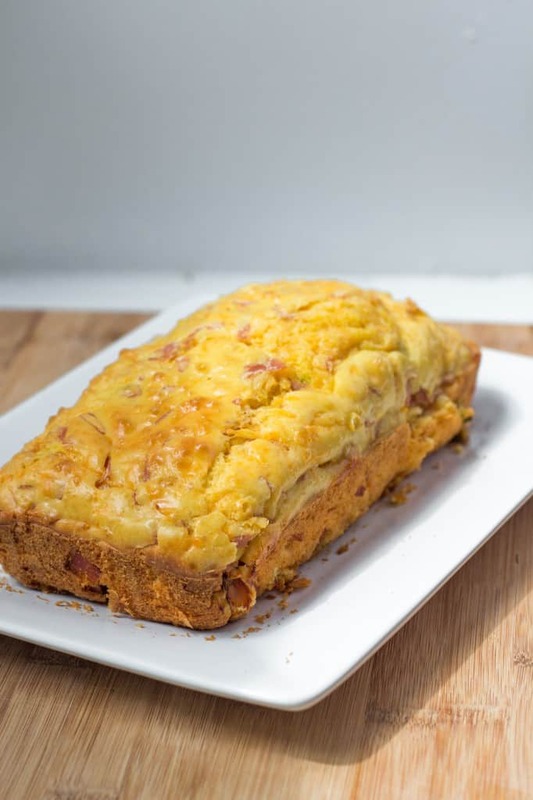 - Pour in a loaf pan and bake in the oven for 30 minutes at 375F. I hope you enjoyed your vacation and that your family had fun! I’ve never heard of anything like this before, Melanie, but it sounds great! It’s interesting that you’ve added yeast. 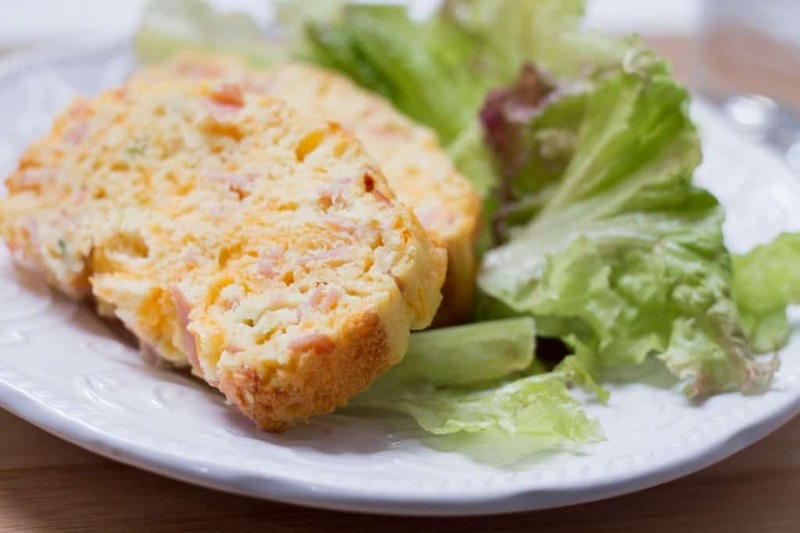 It’s sort of a cross between bread and an omelette. I’m intrigued!